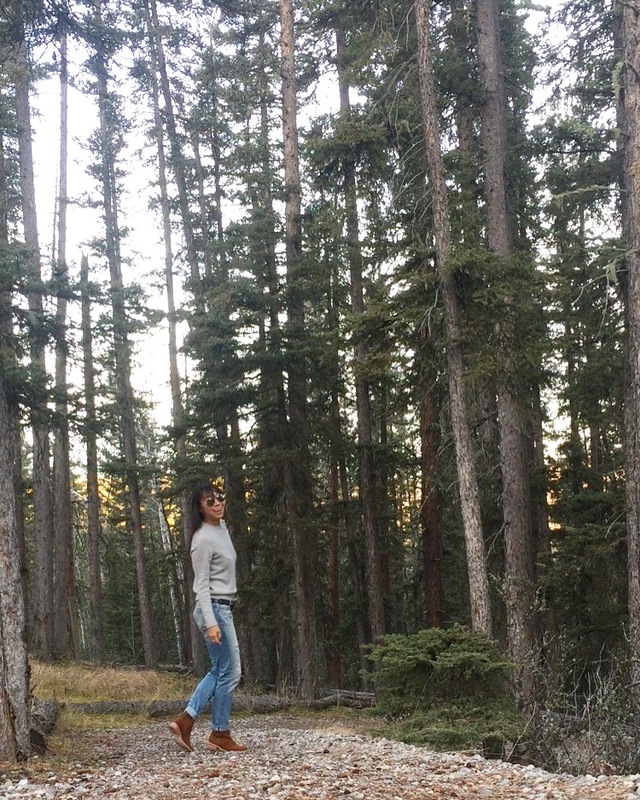 When I was invited to drive a 2017 Buick Envision over two days in the beautiful Rocky Mountain Foothills in Alberta, you bet I replied as quickly as my fingers could type YES and hit send. 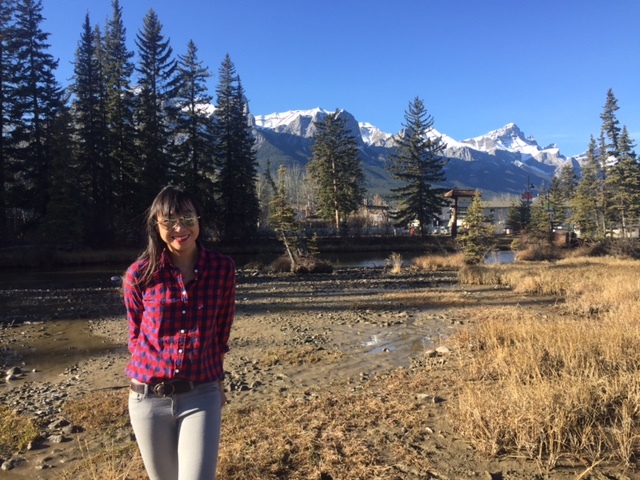 My first one-day visit to Banff in 2014, along with my much longer trip exploring the area spring 2015 (when I was out west to run the Calgary Marathon) — these trips remain high, very high on my list of my most favourite. Ever. Even just typing this I feel breathless just thinking of the gorgeous mountains and lakes. 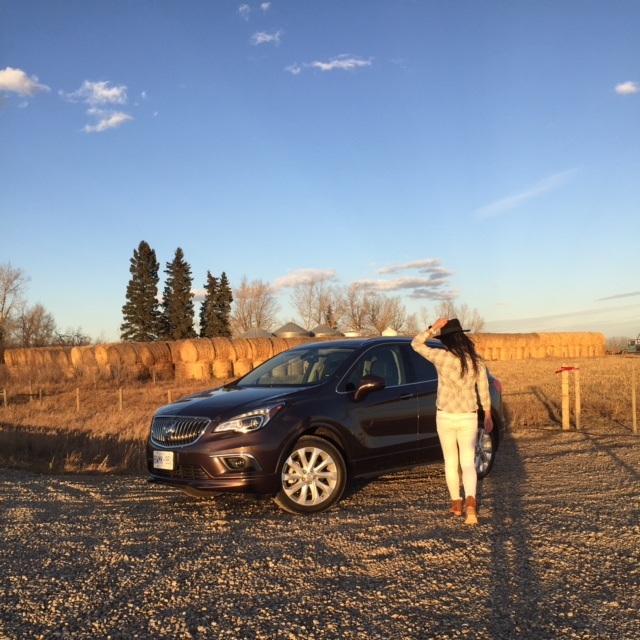 This trip with Buick Envision had us based in Priddis, Alberta, which is just outside of Calgary, staying at Azuridge Estate Hotel. This property feels remote (even though it’s not far from the city), and the fresh mountain air, along with the deer we spotted on our drive to the property, well, it was all very idyllic. 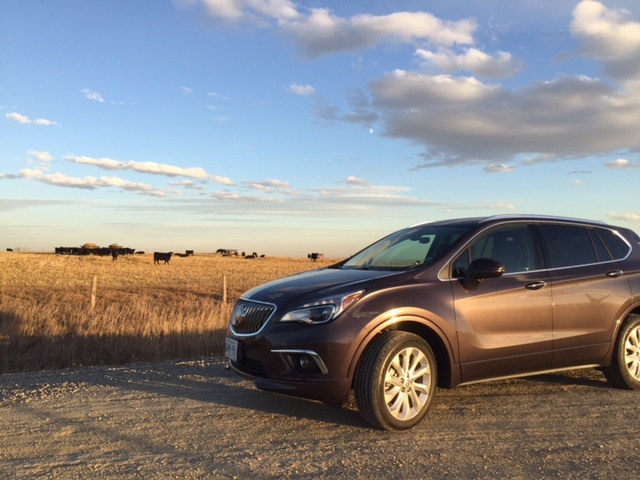 Hitting the road with the Buick Envision was of course the main priority. 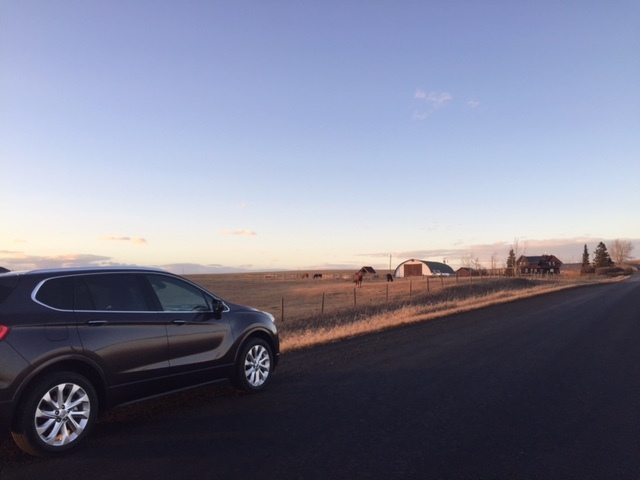 While city driving often stresses me out, the quiet open roads around Priddis I actually love navigating (well, with the GPS keeping us on track), and the Envision was a smooth drive. And I’ll be honest with you; Buick is not a car brand I’d normally gravitate to, and while I’m not personally in the market for a car right now, I was impressed with how refined the car felt (and I liked how spacious it felt, and yet it wasn’t so overwhelming that I thought “I’ll never be able to park this thing!”). I’ve driven other compact SUVs and I can’t say the same about them. I spent more of my time inside the car than admiring it from the outside, and I think they have achieved making it feel luxe from the inside out. Another reason it was a smooth drive (as I learned from Buick)? They’ve developed quiet tuning so that your drives are peaceful. Things like acoustic absorbers for the door system to engine compartments have all been incorporated, as well as acoustic laminated windshield and front side glass. 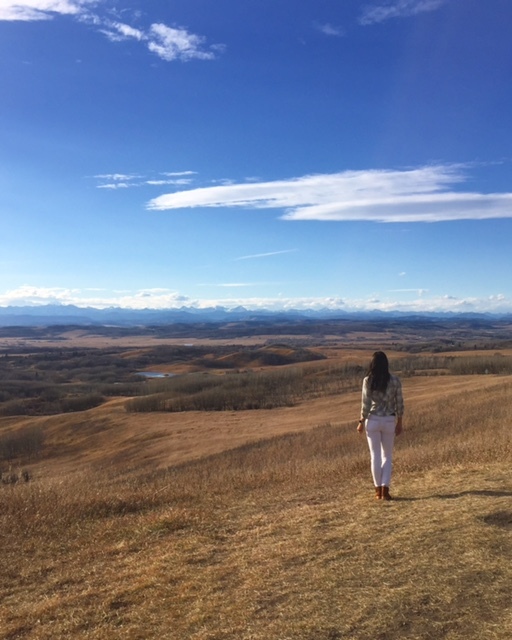 Which made for a very peaceful way to take in the incredible scenery of Alberta. On the first day, we set out with a route to check out the views with a few stops along the way. We visited Leighton Art Centre, where there’s the work of local artists (with a focus on landscapes), a lovely greenhouse-type room full of plants in this heritage home and a wide open view of fields with the mountains in the distance. I could’ve stayed all afternoon just taking in that view. 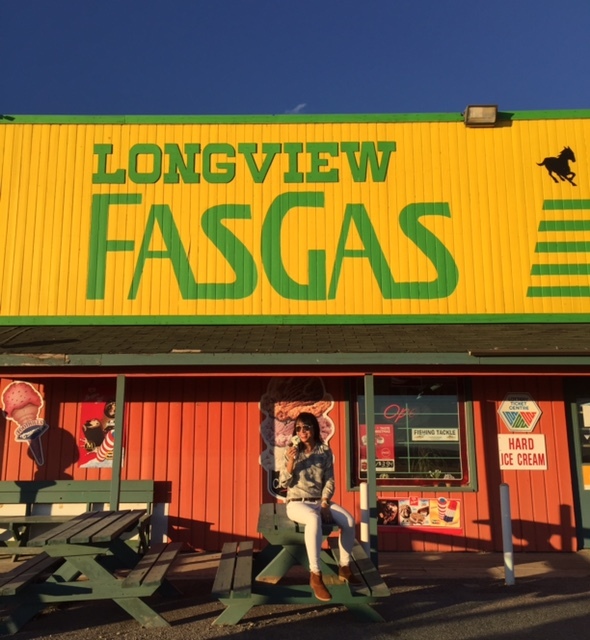 No visit to the area is complete without a pit stop at Longview Jerky Shop, where the jerky is award-winning. We picked up two varieties, and then popped into the cute gas station across the road (where we couldn’t resist getting an ice cream cone — guess we were ready for dessert after that jerky!). The smooth drive as the sun set was peaceful and relaxing, and I got a chance to use the car’s wifi since my partner for the day of adventures was behind the wheel. Although I’ve been in vehicles with wifi before, when I thought about it more thoroughly, I wasn’t clear as to what the advantage is over using one’s data plan. But here’s the thing: you can get a wifi plan for the car as a one-off purchase, and say you’re on a road trip. Everyone in the car can use the wifi (well, up to seven devices); if you have kids, they can stream movies; and if you have teens (or um, if you’re me and always online) you can update social media and check emails using that wifi plan. And I know I’ve been on road trips where my smartphone can’t get a signal. This didn’t happen to me when using the Buick Envision’s wifi. And rates for a one-time data plan starts at $5 for 250MB for 24 hours with OnStar. 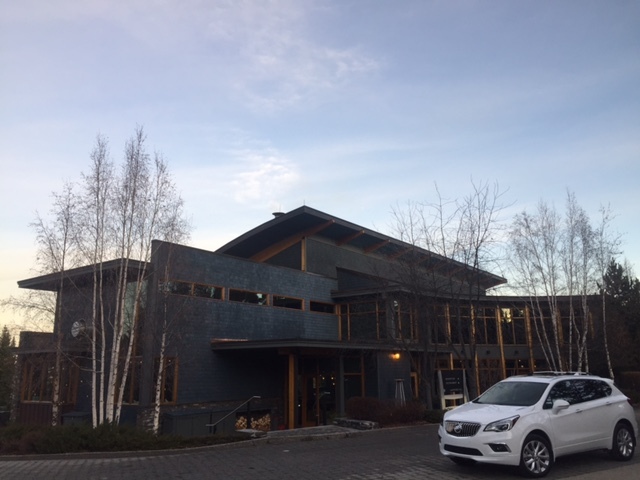 We drove the Envision and our first stop was Verde Day Spa, where I got a massage; always appreciated but honestly, I was just so happy and stress-free already thanks to being in Canmore. 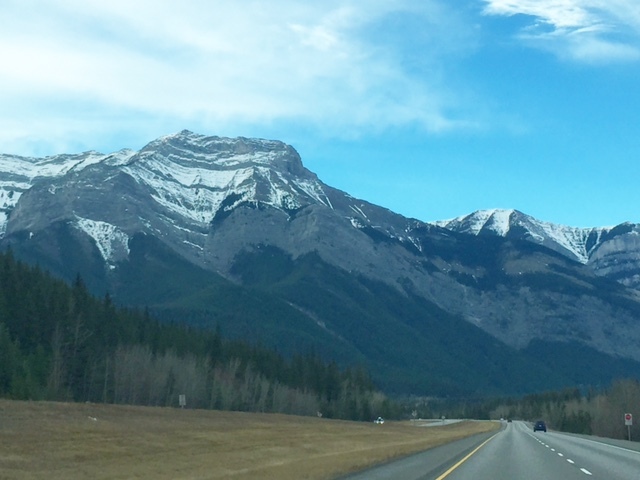 The drive up there seemed effortless — and because I was a passenger this time (I was driving the first time I went to Canmore in the spring), I got to take in the mountain views to my heart’s content. But this is actually the type of driving I love so I’d have been happy to be the driver for the day; the roads weren’t crowded, there are views that knock your socks off, and we had the spacious and comfortable Envision — but I happily Snapchatted and took photos for the trek. Post-spa, we had a delicious lunch at Crazyweed Kitchen (which I highly recommend if you’re in Canmore). I had a very good fried chicken sandwich, and started with a velvety soup of the day. After lunch it was sadly time to head off to the Calgary airport where we handed back the keys to the sleek ride (and now whenever I see the ad of the hot dad driving his baby around to help him fall asleep I am reminded of these sweet couple of days of driving it in the Rocky Mountain Foothills). Psst: there’s also a cute ad for the Envision featuring Schmidt (well, of actor Max Greenfield) from New Girl — oh, he makes me laugh.